Great dental care starts with a commitment to prevention – after all, isn’t it much easier to stop dental damage when it’s barely gotten the chance to start at all? At Canyon Creek Family Dentistry, our doctors believe in the power of conservative treatment that’s meant to maintain you and your loved ones’ oral health for many years to come. That’s why we stress the importance of attending regular checkups and cleanings every six months, and also why we offer several services that are specifically designed to protect teeth from likely harm. If you haven’t visited the dentist for some time, it’s never too late to start prioritizing your oral health! Contact our Richardson location today to schedule an appointment. Even if you brush and floss diligently at home, dental problems can still develop out of sight over time. That’s why families should make routine checkups and cleanings a priority! 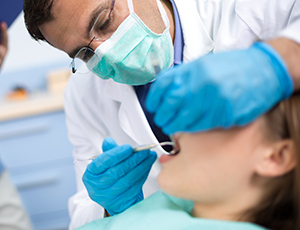 During these appointments, our team will thoroughly review every aspect of your oral health (teeth gums, bite, and more) and remove harmful accumulations of plaque with specialty cleaning instruments. 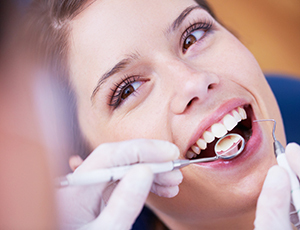 If we determine that you need additional treatment, our dentists will always go over your options with you in full detail and help you select the ones that fit your needs best. Periodontal (gum) disease is a serious and very common infection that needs to be dealt with as early as possible. At Canyon Creek Family Dentistry, we will always screen your gum tissue for warning signs of this problem, and effective therapy options are able when needed to restore health to your smile. The mouth has some very hard-to-reach areas that are more likely to suffer from tooth decay over time, and this is especially true for younger patients who may not be capable of maneuvering their toothbrush in the proper way. Thankfully, dental sealants can lend your son or daughter a helping hand in protecting these teeth! 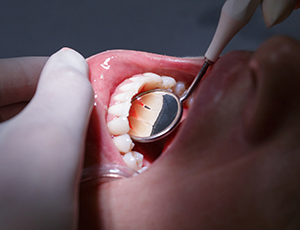 Our team will apply thin, tough plastic seals to the chewing surfaces of the molars and premolars which will block out food particles and bacteria from gathering there. Are you or your child an athlete? Proper protection is an important part of playing sports with or without physical contact, but many people forget their smile amidst all the helmets and kneepads. Our team will be happy to design a custom-made mouthguard that can keep teeth safe from blows while feeling comfortable and secure. Unlike store bought appliances, our mouthguards are also flexible enough to allow easy breathing and speaking. Bruxism (more commonly referred to as teeth grinding) affects patients at every stage of life, and far too many cases go unnoticed because they occur only during sleep. If you’re experiencing chronic jaw pain and worn-down teeth, don’t hesitate to schedule a consultation here at Canyon Creek Family Dentistry so that our doctors can take a closer look. 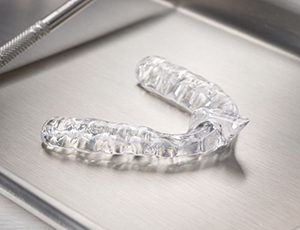 To combat bruxism, we provide a nightguard that’s customized for the patient’s unique mouth and will help prevent dangerous contact between the rows of teeth while they sleep. On average, 35,000 people here in the United States are struggling with oral cancer every single year, and many cases sadly end in premature death. Early treatment and detection are absolutely vital, which is why our Richardson dental team makes oral cancer screenings a priority during every regular checkup. We’ll always scan the mouth for signs of cancerous cells, such as discolored patches of tissue and suspicious oral sores. If we find anything concerning, a biopsy can be arranged for further information. You may have noticed that many toothpaste products have the word ‘fluoridated’ on them – but what does that mean? Fluoride is a natural mineral that’s added to these oral health products and most municipal water supplies here in the United States because of its proven positive effects regarding oral health. People who receive regular exposure to fluoride tend to have stronger tooth enamel that’s more resistant against cavities than their counterparts! 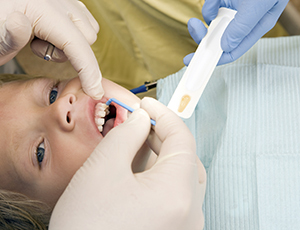 Our practice also offers professional fluoride treatments for children and families who could benefit from some added protection. 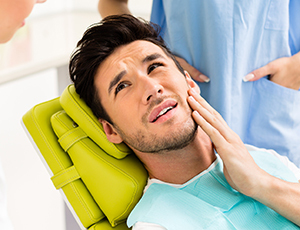 Dental emergencies can strike at a moment’s notice, and what patients need most in these fearful situations is a trusted practice that can provide care and relief as soon as possible. Here in Richardson, our team will make time for you or your loved one right away. In most cases, we can bring both new and reoccurring patients in on the same day as their initial call, as well as provide assistance over the phone if they can’t make it to the office right away. Our practice loves seeing whole families and patients of all ages – in fact, it’s right there in our name! 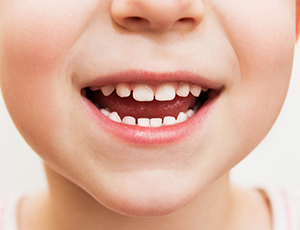 Our pediatric approach is perfect for your son or daughter, whether they’re just starting to get their first baby teeth or have a cavity that needs treatment. 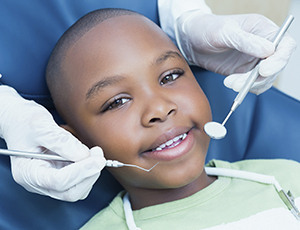 Our doctors and team members look forward to instilling good oral health habits in them that will stick for life.